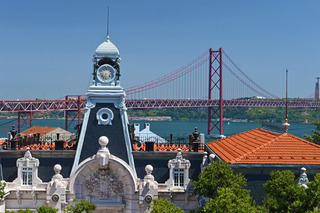 Find huge deals in Lisbon, Portugal that you may book now & pay later! 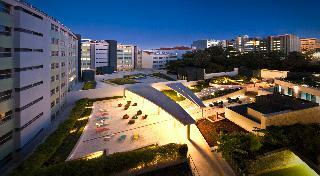 Best prices for in Lisbon, Portugal. A dream vacation for you and your family, guaranteed by our travel consultants. For members-only deals, we recommend using the new filter for deals in Lisbon, Portugal. 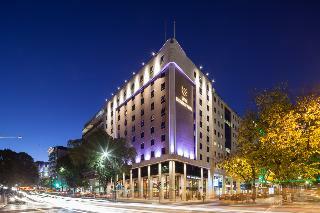 This hotel is located near Praça de Espanha, only a 10-minute drive from the historic city centre. 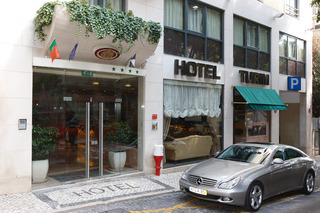 The hotel location offers easy access to all of Lisbon, being close to public transportation links that quickly take guests to the beautiful historical centre, to Lisbon's main business and commercial districts, Lisbon's modern shopping centres, to the breathtaking Parque das Nações, or to Bairro Alto, for its bustling nightlife. Offering fantastic panoramic views over the city and the Tagus River from its 9th floor restaurant, this modern design hotel is a great place to explore the Portuguese capital, Lisbon. Praça do Marquês de Pombal Square, Avenida da Liberdade with its elegant shops and boutiques and the park Eduardo VII are just a few steps away, Saldanha Square and its metro station providing direct access to the airport can be reached within a short stroll. 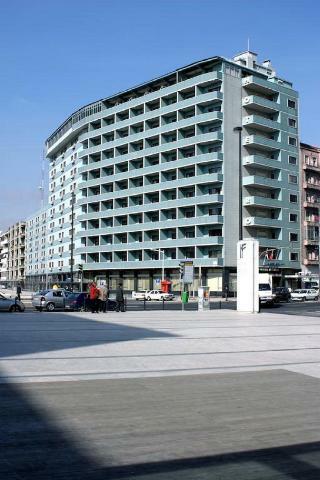 This hotel is located in the shopping and business district of Lisbon, a few steps from S. Sebastião metro station, and El Corte Inglés department store. 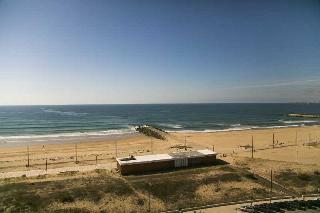 From here, guests can easily and quickly access the whole city. There are restaurants and bars in the vicinity, and downtown Lisbon with all its monuments, churches and shops, as well as Bairro Alto, with all its restaurants and bars, are a 10 minute metro ride away. This hotel in the centre of Lisbon, city of light, sun and history, is in a prime location next to Avenida da Liberdade, with excellent access to public transportation. Marquês do Pombal, Downtown Lisbon with its plethora of shops, Chiado and Bairro Alto with all their restaurants and bars, are within walking distance. With its elegant and charming decoration, this cosy and refined hotel is perfect to relax in the centre of this beautiful European capital. This modern hotel is conveniently located in the centre of the Portuguese capital of Lisbon, just a short walk from the business district and the historic centre with its famous attractions such as Praça do Rossio Square. The delightful park Eduardo VII, Praça do Marquês de Pombal Square, Gulbenkian Museum and the Avenida da Liberdade with its elegant shopping facilities are just a few steps away. 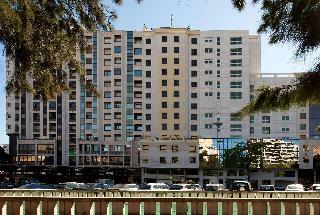 Situated directly on the popular street Avenida de Roma in the exclusive Alvalade district, this hotel is close to a variety of theatres and restaurants. 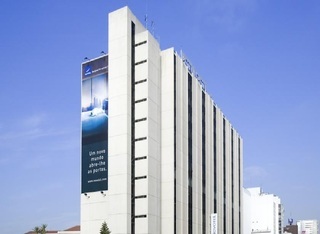 The Roma Metro Station is just 5 minutes away, providing easy access to all areas of the city. Attractions such as the Gulbenkian Museum, Campo Pequeno Bullring or the Castle of São Jorge are within easy reach, the international airport is just a short drive away. This modern hotel with its spectacular curvaceous glass façade is just a few steps from the neo-Moorish bullring Campo Pequeno, the Gulbenkian Museum and the Campo Pequeno Metro Station, providing easy access both to the historical centre and the international airport. 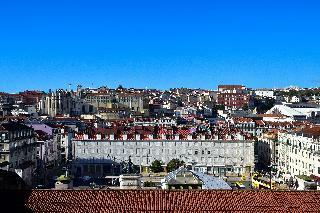 Attractions such as the Centre for Modern Art, Praça do Rossio or the Castle of São Jorge can be easily reached. Facing the Campo Grande Park, ideal for jogging or cycling, this modern hotel is situated in the new financial sector and just 500 m from Lisbon's City University. The former EXPO site, the new Parque das Nações area with the Lisbon Casino, Vasco da Gama Shopping Centre, Lisbon Oceanarium and the exposition centre can be reached within 10 minutes, the international airport is only 6 km away. 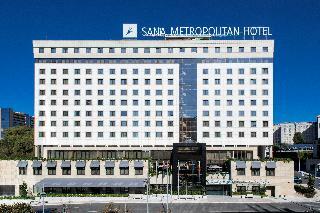 The hotel is situated in a small residential area in the heart of Lisbon close to Marquês de Pombal and Saldanha. 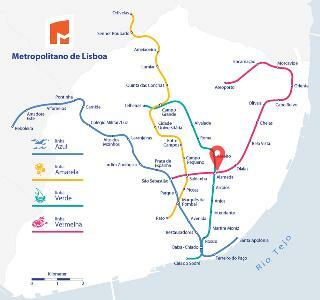 There are three Metro stations within close proximity, affording rapid and efficient transit to Lisbon's most interesting locations. Set out and explore the Portuguese capital's magnificent parks, buildings, museums, theatres, its many restaurants, bars, cafés and wonderful shopping venues. Overlooking the Tagus River, this contemporary style hotel is situated in the area of Parque das Nações, the former site of the EXPO. The Estação do Oriente train and metro station and the Vasco da Gama Shopping Centre are right next to the hotel, restaurants, bars, the Lisbon Casino and the Lisbon Oceanarium are all within a few steps. The international airport is only about 4 km away. Set in a historical building facing the delightful park Eduardo VII, this city hotel is conveniently located just off Marquês de Pombal Square and close to Avenida da Liberdade with its elegant shops and boutiques. Attractions such as Saldanha Square, Gulbenkian Museum or Instituto Camões are within walking distance, the historical centre of Lisbon with the Squares Rossio and Praça do Comercio are within easy reach. 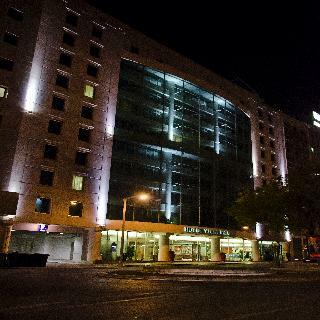 This elegant city hotel is conveniently situated in one of the most privileged business areas between Saldanha Square and Praça do Marquês de Pombal Square. 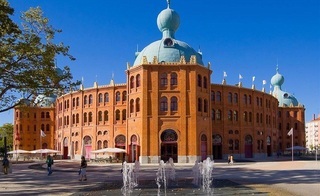 Attractions such as the delightful park Eduardo VII, Avenida da Liberdade with its exclusive shopping facilities, Gulbenkian Museum or the neo-Moorish bullring Campo Pequeno are only a short stroll away, the historic centre is within easy reach. 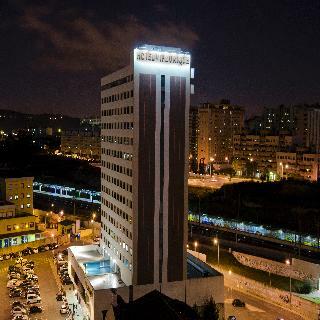 Located just a stone's throw from the international airport of the Portuguese capital of Lisbon, this modern hotel is close to Campo Grande Park and within walking distance of the José Alvalade Stadium, home of Sporting Club de Portugal. The Campo Grande Metro Station is just a few steps away, providing easy access to the city centre, the business district and the historic centre with its famous attractions. This business hotel is centrally located in the Portuguese capital of Lisbon, opposite Instituto Superior Técnico and just a short stroll from the Alameda Metro Station, Gulbenkian Museum and the neo-Moorish bullring Campo Pequeno. The FIL Trade Fair Centre and the historic centre with its famous attractions are easily reachable by metro, the international airport can be reached within a 15-minute bus ride. This charming family-run hotel is excellently situated just off the Avenida da Liberdade with its elegant shopping facilities and the Avenida Metro Station. The historic centre with its famous attractions such as Praça do Rossio, Praça do Comércio, elevator of Santa Justa, Castle of São Jorge and the river banks of the Tagus are within walking distance. The international airport of Lisbon can be reached within a short drive. 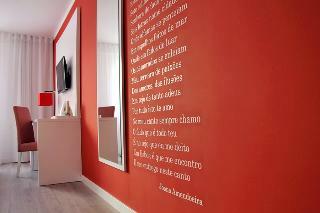 Set in the heart of the Baixa, this hotel is a creative renovation of an historic building. The nearest metro station is Rossio, just 300 metres away. The Chiado and San Jorge's Castle are 15 minutes' walk away. Rooms at the hotel are decorated in deep blues, with Baroque-style armchairs and wooden headboards. The hotel provides a 24-hour front desk, offering luggage storage and daily newspapers, and for guests arriving by car there is public parking available nearby at a charge. 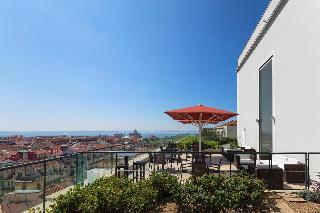 This hotel is located in the most prestigious quarter of central Lisbon – Avenida da Liberdade. Marquês de Pombal Metro Station is 20 metres away. 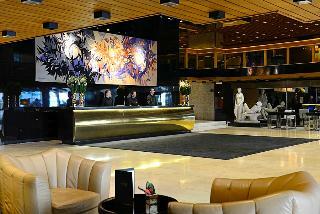 The hotel is close to the Cathedral, S. Jorge Castle, Bairro Alto quarter, Jerónimos Monastery and Edward VII Park. Less than 1 km away guests will reach a variety of shopping venues, bars, pubs, nightclubs and links to the public transport network. 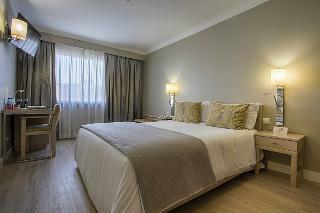 This hotel is conveniently located in Avenida da Liberdade, in the centre of Lisbon. 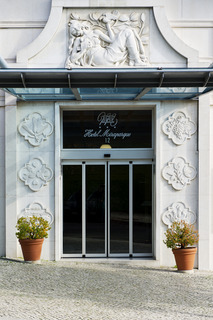 Surrounded by wonderful gardens, the hotel is a 10-minute walk from Rossio. Cafés, nightclubs, various shops and restaurants are found in the vicinity. The hotel is a 2-minute walk from Avenida Metro station, and there are other public transportation stops just 200 m from the hotel. 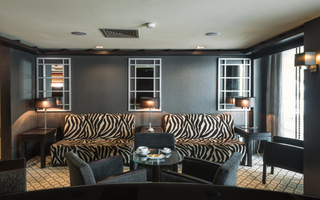 Excellently located on the famous Avenida da Liberdade with its elegant shops and boutiques, this luxury hotel is in the heart of the Portuguese capital of Lisbon close to the Praça do Marquês de Pombal Square. Avenida Metro Station is just a few steps away, providing easy access to the historic centre with its numerous attractions. The international airport is about 7 km away. 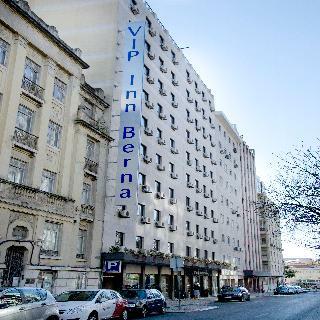 This hotel is located right in the heart of Lisbon, a prime area of the city, near Marquês de Pombal and Avenida da Liberdade. This area is a public transportation hub, with metro, buses and quick access to motorways. Avenida da Liberdade boasts theatres, cinemas, restaurants, cafés and the avenue reaches down to the historical centre of Lisbon. Bars and nightclubs are within 1.5 km of the hotel. 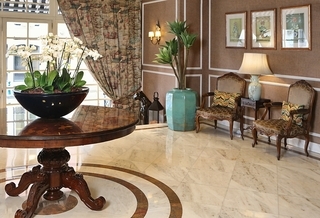 From this hotel guests can easily and quickly reach any point of the city of Lisbon.